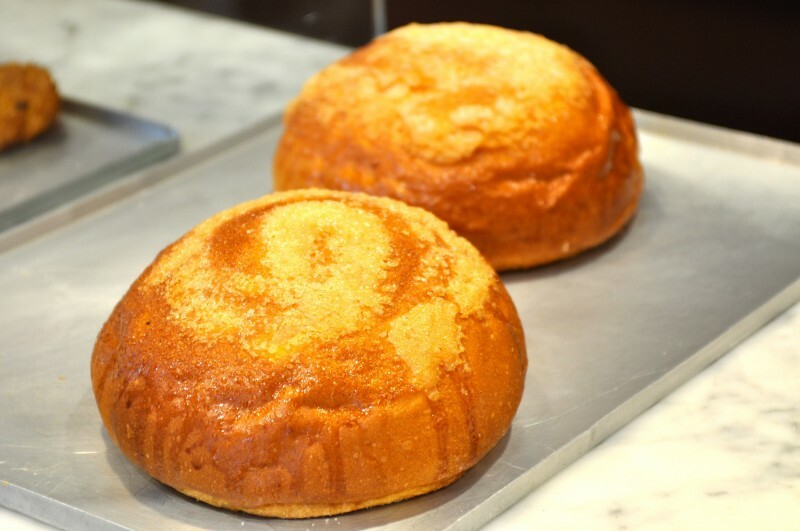 Toña, also known as Mona Alicantina, pan quemado, Fogaseta or Fogazo is a typical brioche of the province of Alicante and the region of Murcia and consumed in practically all of the Valencian Region, where it receives different names in different Comarcas. It is a large, round, sweet brioche which is white and spongy on the inside and brown on the outside, commonly eaten for breakfast or as a snack, and typically enjoyed accompanied with a mug of hot chocolate on a Sunday morning. 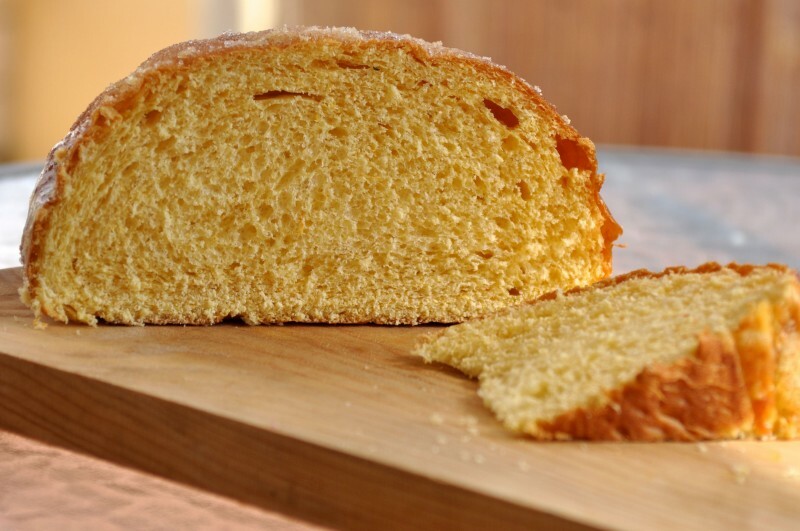 Although Toña is eaten all year round, there is a sweet brioche consumed during Easter (Pascua) called the ‘Mona de Pascua' ('Easter gift'), made of exactly the same ingredients as Toña but with a boiled egg placed in the centre of the cake mixture before it is put into the oven, so that after baking, the egg is moulded into the cake into an attractive design. In recent years there have been many different variations of the Mona de Pascua, as it has become the fashion to make it in different shapes, usually into oblong, animal forms such as crocodiles or turtles carrying the egg in their mouths, and decorated in pretty ribbons, feathers or little Easter figures. It's also common to see the Mona de Pascua formed into the shape of a basket with the boiled egg in the centre and there are even "designer versions" available using quail eggs. In Cataluña it is common to see the Monas de Pascua with chocolate eggs in the middle instead of natural ones, and in this region the Mona de Pascua has evolved into an artform with huge eggs sculpted out of chocolate, although in Alicante families tend to stick to the traditional hard -boiled eggs, planted inside circular Toñas. It is normal to hear the expression “ir de mona”, literally meaning “to go Easter gift-giving”, but referring specifically to the act of going out with friends and family on the ‘domingo de Pascua’ (Easter Sunday) to somewhere in the countryside to eat Mona de Pascua. Children absolutely love receiving these special Easter toñas as a gift on this day as they provide hours of delight and entertainment, not only because they are a tasty treat but also because children like to play the fun game in which they run around chasing family members and try to surprise them by bashing the eggs onto people’s foreheads. Family and friends are therefore on constant alert during the Easter festivities to avoid being the unlucky egg- victim! Making Toña involves time, patience, and dedication, as it is a very long process with various stages of mixing and fermentation. The main ingredients used to make Toña are flour, fresh milk, olive oil, sugar, hand-grated lemon zest from a small lemon, egg and baking powder, although in some municipalities it is normal to add potato or pumpkin to the recipe to keep the toña softer and moister. The first step is called the ‘pie’ (foot), and involves making the ‘masa madre’, the first part of the sponge mixture. The sponge mixture is made by mixing half of the flour, milk and baking soda until it is a thick paste and then leaving it to ferment for a total of 4 hours. The second step is called the ‘base’, and this is when the rest of the ingredients are mixed separately for 25 minutes before being added to the ‘pie’ and mixed again for a further 30 minutes. The mixture is then put in a container and left to ferment again in a block for an hour, before it is divided and cut into pieces and left to sit for a further 15 minutes. Then each piece is moulded by hand into little ball shapes which are then left to ferment in a cool place with a temperature of 10° for 18 hours. After 18 hours the balls of mixture are painted all over in egg yolk with a brush to give them the ‘pan quemado’ (‘burnt bread’) appearance, and sprinkled with sugar before finally being placed in the oven at 210° for a total of 18 minutes with the oven door slightly ajar. Many pastry stores still continue to make Toñas by hand in this traditional way and their Toña is therefore certified by the Valencian Regional Government as being an authentic artisan product. These artisan pastry stores and bakeries tend to have a certificate on the wall displaying an artisan product code given to them by the Comunidad Valenciana confirming their membership to the Valencian artisan community. The code usually appears like this: “4792 Numero Artesano Comunidad Valenciana”. In this way visitors can be sure that they are purchasing the traditional Toña whilst at the same time appreciate the hard work and time that has been put into making these delicious brioche buns. 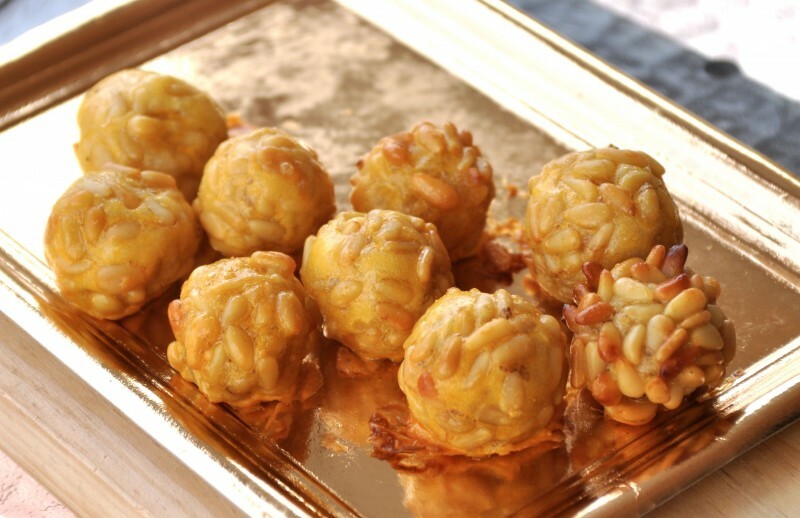 Nowadays several variations of Toña can be found for sale in pastry shops, some with nuts and raisins or even meringe in the middle. 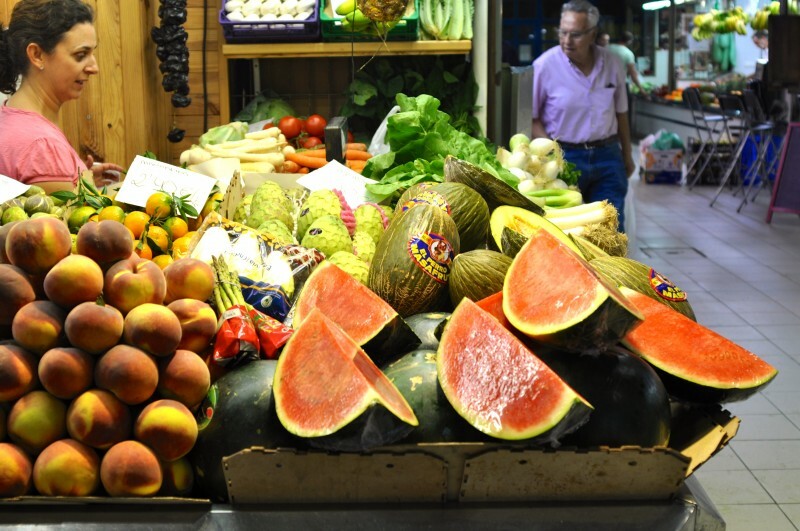 In some places, notably in the municipality of Villajoyosa it is even consumed as a sweet sandwich with ice cream in the middle, a particularly popular dessert for children during the summer months. 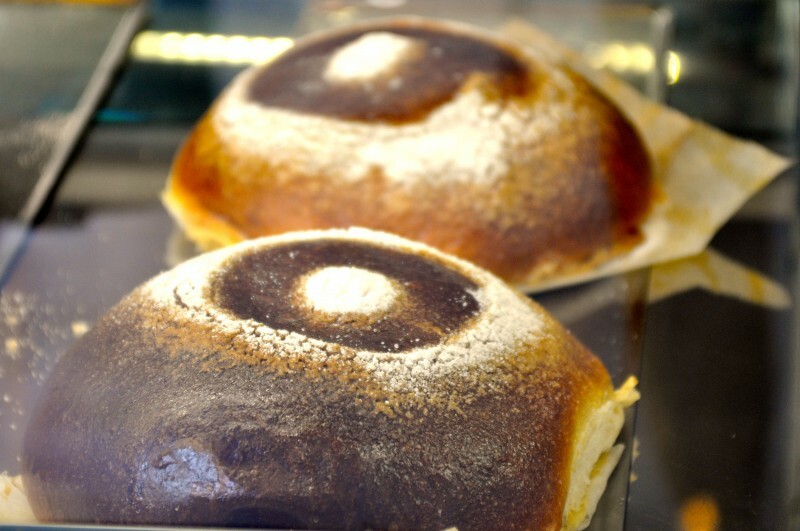 Almost every pastry shop or bakery in Alicante city sells Toñas, although to guarantee a top-quality, artisan Toña visitors should make a trip to one of the traditional 'panaderías' located along the streets adjacent to Mercado Central, the city’s main central market place. They can also be found sold in the market stalls at around 2 euros or less.